You can create financial control! Would you like to take control again? Here is how you can take charge of your money challenges in 2013 and beyond, whether you are in your 30s or your 50s. Have you ever found yourself wondering, “OMG, where did my money go this month?” And then scramble to figure out what you are going to do to cover the rest of your month’s expenses? Or have you looked at your bills in a pile and said to yourself, “I just don’t feel like tackling this today, I’ll do it tomorrow.” And tomorrow doesn’t seem to come? Are you losing sleep or feeling the stress over your finances? Or are you like Scarlet O’Hara and “will think about it tomorrow”? Staggering statistics about women’s finances, and some Americans in general, may shock you! However, that can be a good thing! You say, “why?” I say because it wakes us up, forces us to get our head out of the sand and face reality. Some of us will choose to stay in denial…that is what my blog is all about. I’m here to bring women’s issues about money to the forefront for us to examine. My goal is to raise your level of awareness so that when the time is right for “change”, you’re ready to move on, and acknowledge that there is no “white knight in shining armor” coming to save you. We adult women and our female children must figure it out for ourselves. – Two-thirds of all working women earn less than $30,000 a year in jobs without pensions. – Women work an average of 27 years; men 40 years. 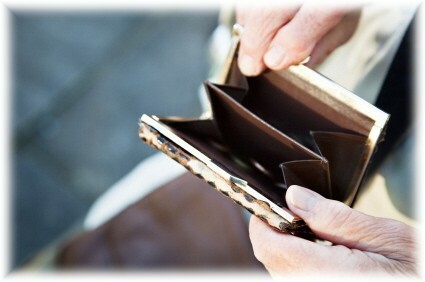 – The average annual income for an elder man is $24,300, almost 75% higher than an elder women’s annual income of $14,000. – Social Security replaces only about 40% of a worker’s prior wages. – Three out of five women over 65 can’t afford to cover their basic needs! Many of you reading this blog may say “But, that’s not me. I’m only 30, 40, or 50 something and it will be different for me.” OK, I see what you say, but let me ask you, “Do you want some control over your life and your future?” I encourage you all to take a closer look at your finances and what plans you are making for your future, even if you are married. Do you know that business leaders (mostly men) are pushing to raise the age of retirement to 70 before you can collect Social Security benefits, and the same for Medicare? Remember, my goal is to raise your level of awareness so you will move into action! Please feel free to comment and share your own experience. Thank you for reading my blog and sharing. « Welcome to my blog! Why many woman don’t save for retirement, and are you one of them?